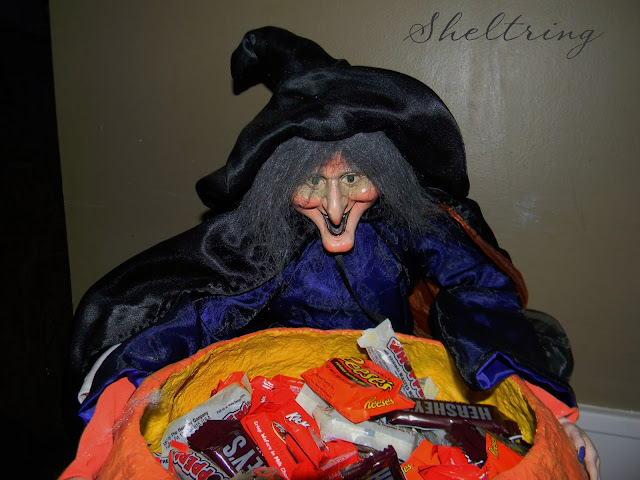 shelstring blog: 31 Day Challenge- Happy Halloween! 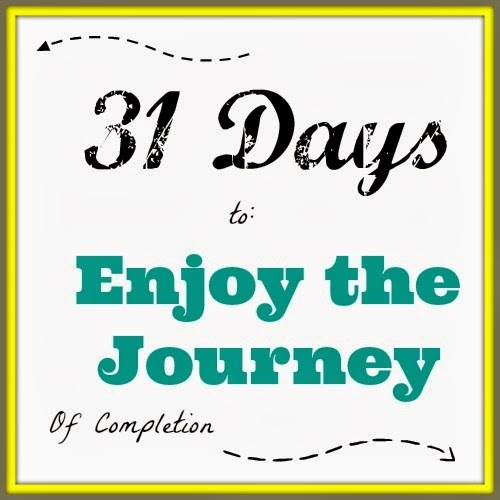 31 Day Challenge- Happy Halloween! To be honest with you, I simply don't have it in me to share all that I've been up to the last couple days. Tonight was quite hectic, and while I'm looking forward to what I've accomplished, the truth of it all is that I'm just plain pooped! So I know that if I tried to share them with you now, I couldn't do the justice I deserve for having done them. 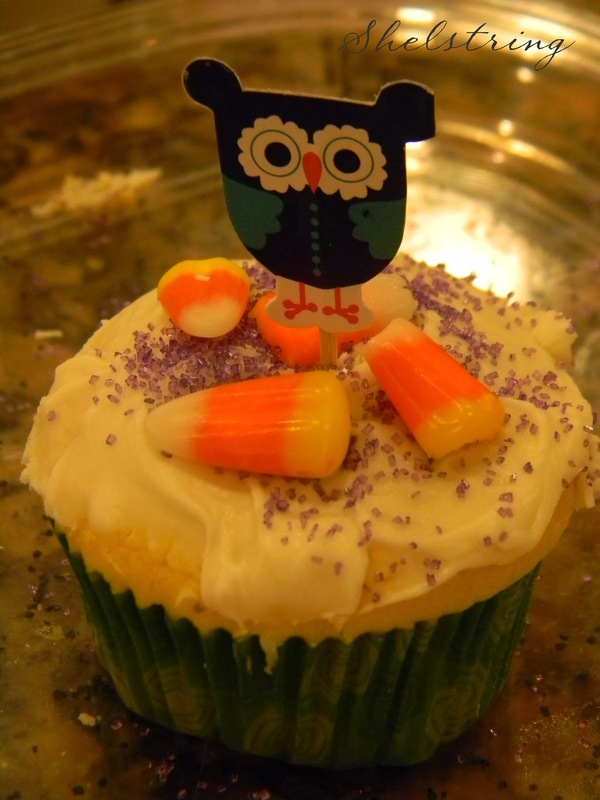 But one thing that was a miracle today, was the fact that these cupcakes arrived to Cub Scout Pack meeting frosted and ready to serve. And my last few days with my favorite Halloween decoration. I got her at the thrift shop a few years ago. She was on the sales counter and I couldn't find a price tag for her. After searching for some time, I finally asked the clerk how much she was. She told me that for me, she would sell it because I had asked so sweetly. I think she was a whoppin' 12 bucks! Apparently she was marked NFS--I hadn't seen it. 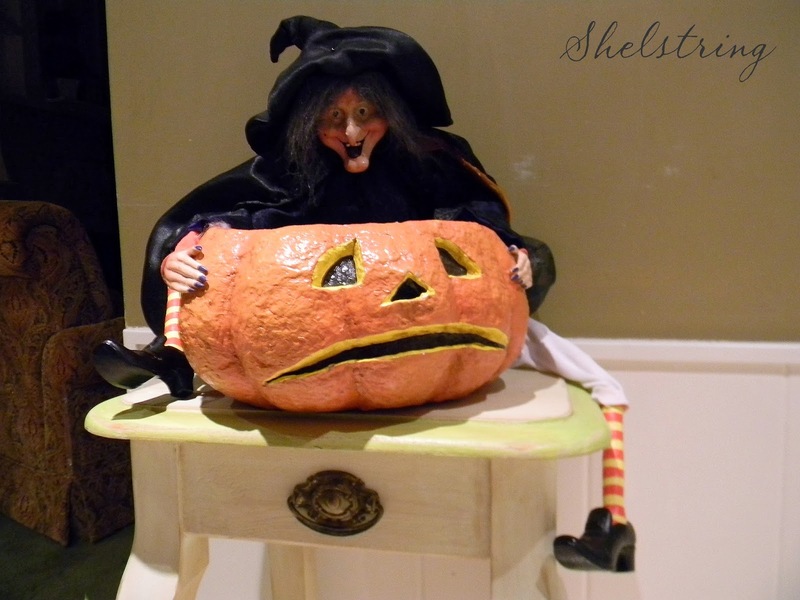 Her eyes light up green and she laughs as she rotates from the waist over her pumpkin through a motion sensor. I don't know what it is about witches that I love so much. I get it from my mother. Can't wait to read about what you have been up to! I am sure that it will be fabulous! The cupcakes are cute! This time of year I really miss having a kid around. the witch story is funny! $12 was a great deal! Happy Halloween! That's neat that you dressed up!